Made of durable HDPE (high-density polyethylene) with barrier materials to virtually eliminate hydrocarbon emissions. Exceeds CARB (California Air Resource Board) and EPA (Environmental Protection Agency) requirements for portable fuel containers. Wide base design and lower center of gravity reduces the chance of a can tipping over; however, if the can does tip, the spout closes automatically with an airtight seal. 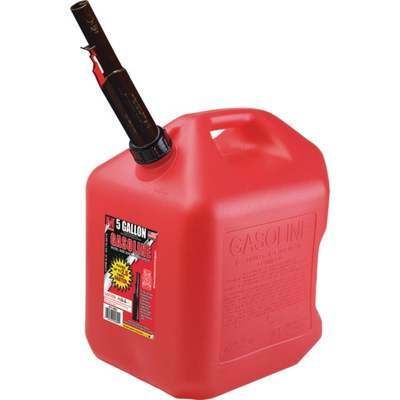 5 gallon cans are designed with 2 handles for easier use and handling.